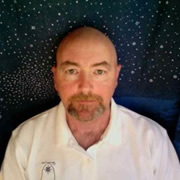 Dr. Jerry Jon Sellers is the author of Understanding Space: An Introduction to Astronautics, a contributing author and editor of Applied Space Systems Engineering, and a contributing author to the updated Human Spaceflight. He has over 25 years of space systems experience, including Director of the U.S. Air Force Academy’s Space Systems Research Center; Guidance & On-board Navigation Officer in NASA´s Space Shuttle Mission Control; and Chief of Astronautics for the Air Force European Office of Aerospace Research & Development in London, UK. He is currently a partner with Teaching Science & Technology Inc., a small company that delivers over 80 space systems engineering courses per year to NASA, DoD, ESA and industry, and he is an Industry Professor at Stevens Institute of Technology and an Associate Fellow of the American Institute of Aeronautics and Astronautics. D.Phil. in Satellite Engineering, University of Surrey, UK.